Do you want to experience everyday elegance? Do you prefer to bring only your iPhone and your essentials when you're on the go? Do you need the perfect accessory for all occasions? 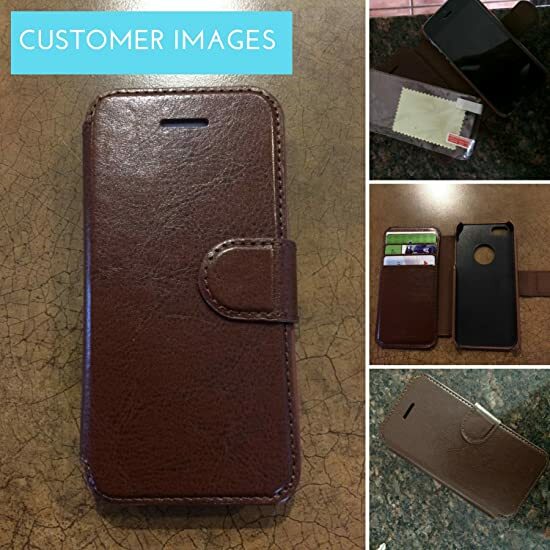 Bid your bulky wallet goodbye; WORKMANN is your perfect match. Your WORKMANN case is designed to simplify your life with this elegant, lightweight and multi-function book style case. 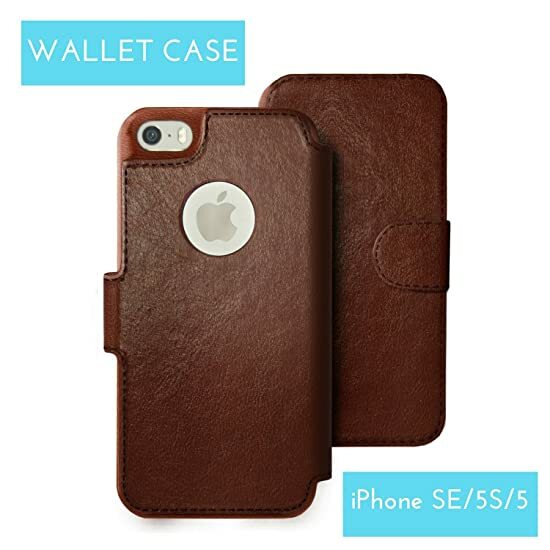 It features a superior craftsmanship to securely hold your iPhone SE / 5 / 5s in addition to cash & credit cards. Please scroll to the top of our Amazon product page and click 'Buy now with 1-Click' or 'Add to Cart' to order yours now. 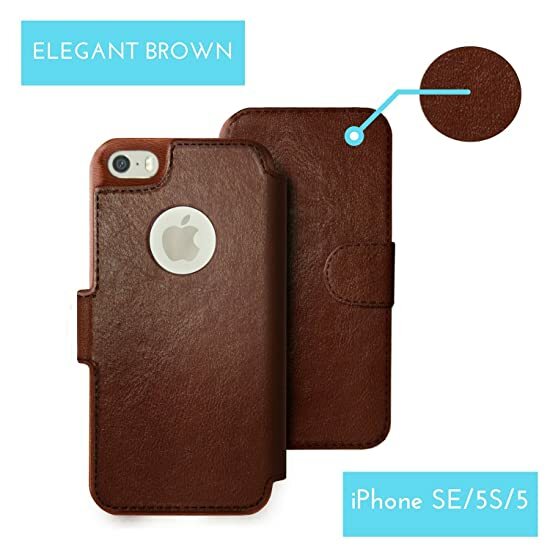 EVERYDAY ELEGANCE - beautifully crafted with stylish faux leather wallet case for iPhone SE, iPhone 5 and iPhone 5s. 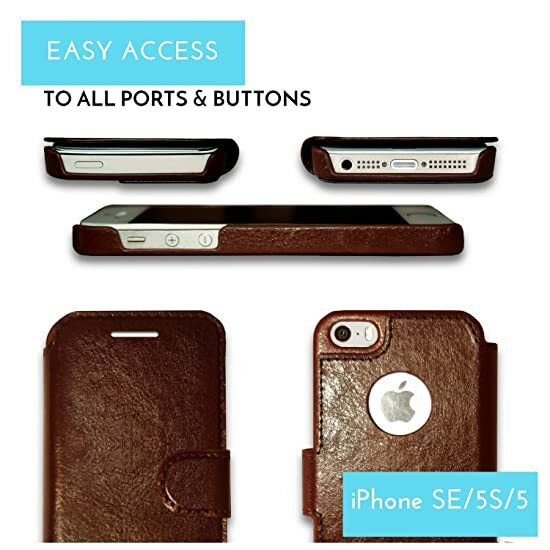 Your case is made from premium eco-friendly PU leather for a smooth, luxury leather feel - all at an affordable price! LIGHTWEIGHT & MULTIFUNCTION - holds 3 cards and 3 bills. Travel light by combining your wallet and iPhone case in one. 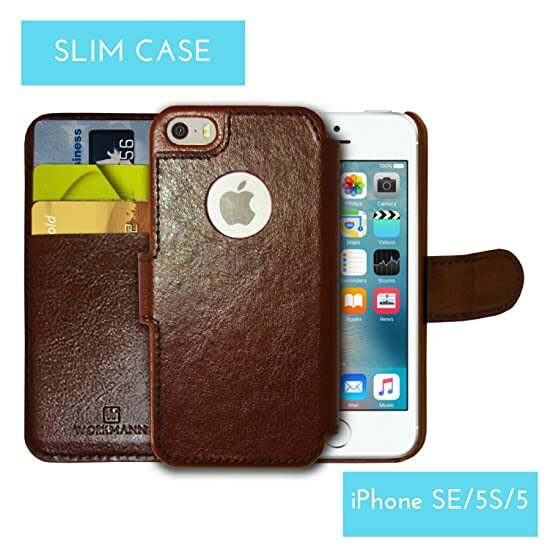 WORKMANN iPhone SE /5/5S case doubles as a travel wallet and holds 3 cards and 3 bills (folded) - no more bulky wallet. PROTECTION w/ FULL ACCESS - book style case that wraps around your iPhone SE/5/5S without hindering access to important ports/buttons. Plus, get a FREE screen protector with every purchase. 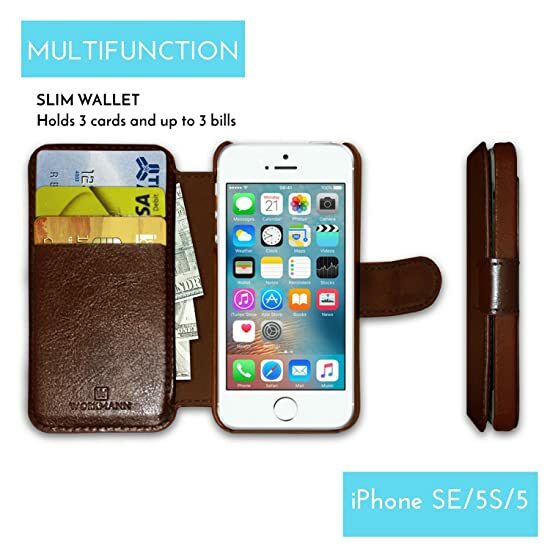 SECURITY & LUXURY - vintage and trendy wallet case with snug-fit credit card slots and ultra- strong magnetic closure provides security & peace of mind. 100% MONEY-BACK GUARANTEE - Your satisfaction matters! If in any way you are unsatisfied, send us an email within 30 days for a full refund, no questions asked.